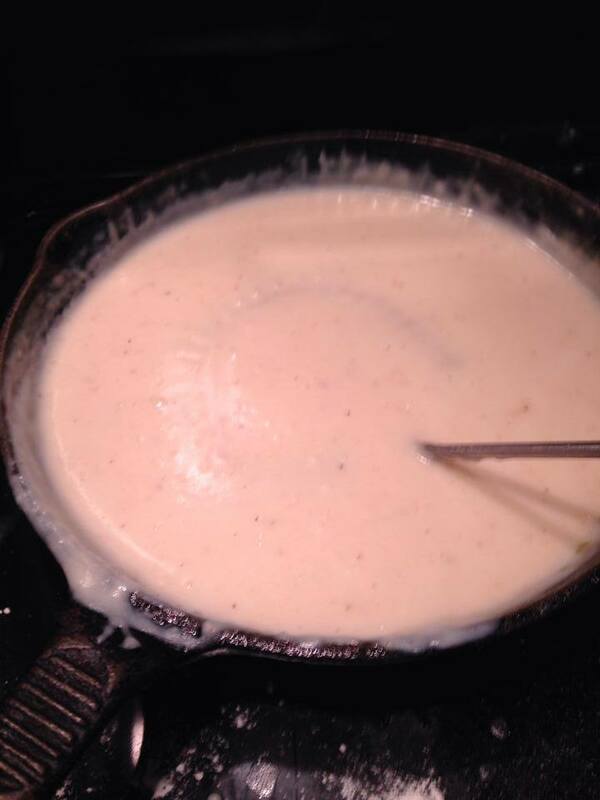 Southern peppered milk gravy aka Pan dripping gravy aka that stuff you smother your biscuits with…the stuff you put on top of chicken fried steak and chicken fried chicken. The stuff you would like to just take a bath in if only the pot was big enough. No? Just me? Oh well..fair enough. This stuff is seriously good and the epitome of Southern traditions. I am ashamed to admit that I used to make country gravy out of the packet. Never again, my friends. Never again. It really could not be easier to make pan dripping gravy. I am not going to give instructions on making chicken fried chicken in this post. I will later…but I am pretty sure you know how to fry. If you really want the recipe for chicken fried chicken…let me know. The key here is the pan dripping gravy. You would think that the gravy would be the accessory to the cute outfit. Um…no. The pan dripping gravy is the star of the show. So I am using my time today to tell ya’ll how to make proper southern peppered milk gravy. I made gravy!!! Real, Southern as all get out, milk gravy!!! Ok…using a cast iron skillet is optimal here. It’s fine if you choose not to or don’t have one, but I have found this definitely yielded the best results. A small skillet is just fine. So when you are almost done frying your meat or when you are ready for gravy I should say, spoon your reserved pan drippings in your skillet along with the bacon grease. All together this should come to approximately 1/4 cup. A little more won’t hurt. This makes a good amount of gravy so no worries about doubling. Over medium heat, warm the drippings and then start to sprinkle the reserved flour into the grease. Whisk the flour dripping mixture as you sprinkle in the flour. Stir constantly until it turns a pale blond shade. Slowly whisk in the milk until it is fully blended with the dripping/flour mixture. Whisk over medium heat as it begins to thicken. Once mixture comes to a boil, reduce heat to low and let gravy simmer for a few minutes. Add more milk if you want to get a thinner consistency. Taste your gravy and then season to taste with salt and freshly ground cracked pepper. Buh bye white gravy mix from the packet!!! As Big Daddy says, “It’s all about the gravy with you! !” Dang skippy! Cajun mama is no fool!!! Enjoy!